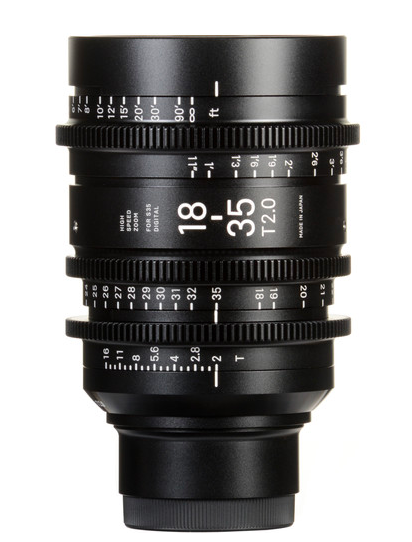 The Sigma 18-35mm T2 Cine High-Speed Zoom Lens with a PL mount and with focus scales marked in feet provides an image circle that covers Super 35mm-sized sensors. 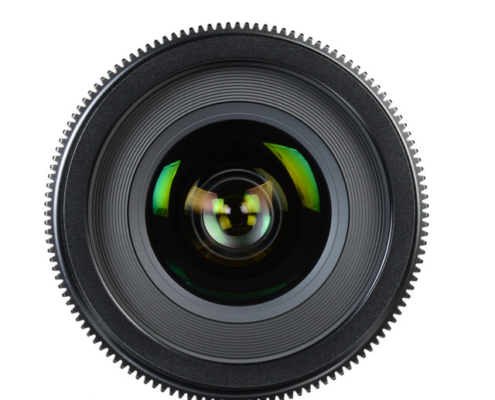 It features a maximum T-stop of 2, and the aperture does not ramp over the zoom range. 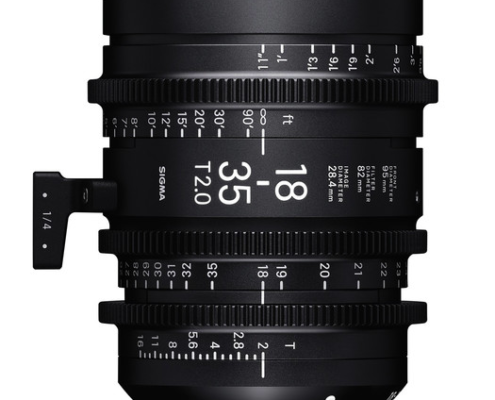 Sigma 18-35mm shares common lens gear positions with the other lens in the Sigma High-Speed Zoom lineup, which makes for rapid lens changes. 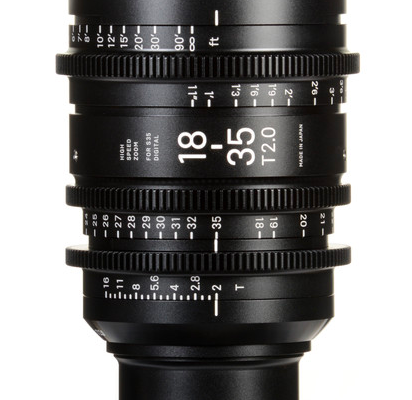 The 9-bladed iris on Sigma 18-35mm provides round out-of-focus highlights for a natural-looking bokeh. 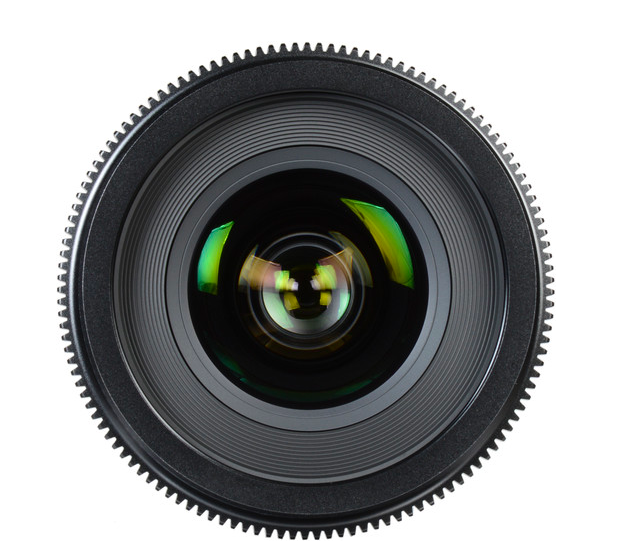 The lens barrel features 180° of rotation from close focus to infinity, the zoom barrel rotates 160°, and the clickless iris ring features 60° of rotation. 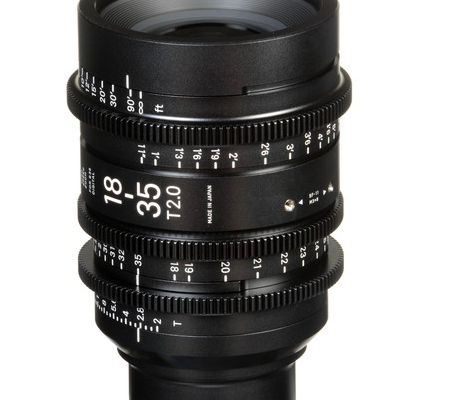 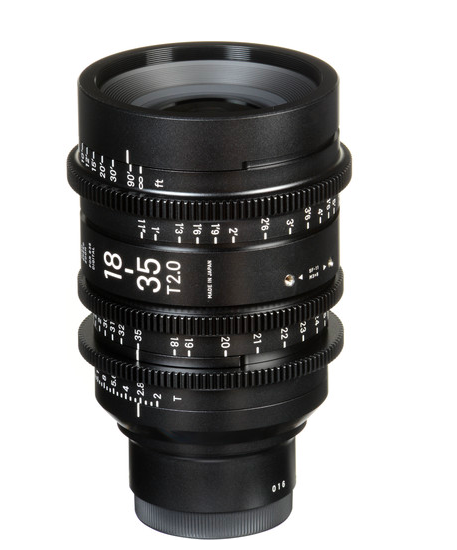 All three lens control rings are geared with cine-standard 0.8 Mod gears, and the focus scale is marked in feet. 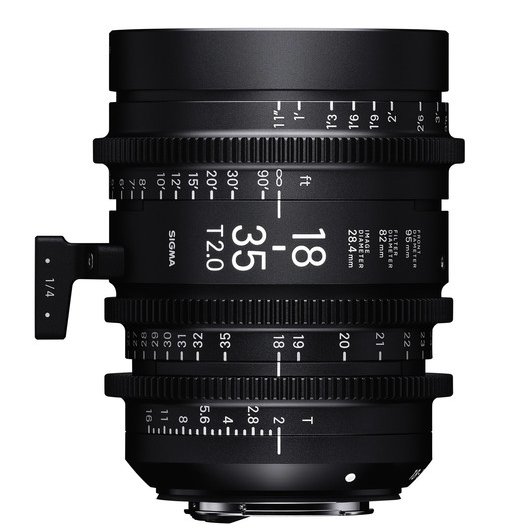 The front of the Sigma 18-35mm is 95mm in diameter with a removable 1/4″-20 support foot that helps support the lens with the aid of a 1/4″-20 rod-mounted lens support (not included).